The Laika head reveals why his stop-motion directorial debut meant so much to him and closes a chapter at the studio. 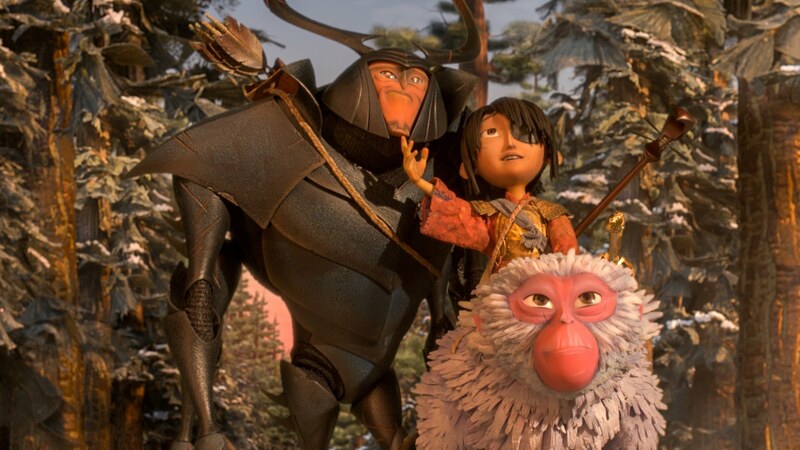 Laika has definitely come of age with “Kubo and the Two Strings.” The stop-motion samurai fantasy represents a summation of everything the Portland studio has accomplished with its four films to date. Its vision of mythic Japanese folklore is epic and exquisite while its heroic rite of passage is thrilling and tender. No wonder Laika president/CEO Travis Knight plunged into directing “Kubo,” undoubtedly the animation studio’s strongest Oscar contender. Clever, kindhearted Kubo (voiced by Art Parkinson of “Game of Thrones”) ekes out a humble living in a seaside town with his mother, telling stories and playing his shamisen. That is, until Kubo accidentally summons a spirit that enforces an age-old vendetta and hurls him on an adventure to save his family, battling giant monsters and demons with the help of two spirits: Monkey (voiced by Charlize Theron) and the samurai Beetle (Matthew McConaughey). Anther was when Knight’s father, Nike owner Phil Knight, took him to Japan for the first time when he was eight. It was a life-altering experience for the Oregon native and ever since he’s had a deep and abiding love for the beauty of Japan and its culture. Technically, “Kubo’s” another breakthrough for Laika and the stop-motion industry, with exotic sets, finely-crafted kimonos, soft origami paper puppets, the 18-foot Ray Harryhausen-inspired Skeleton and the first fully 3D-printed puppet (the Moon Beast). Laika also improved its Academy Sci-Tech award-winning 3D printing for greater color and facial performance, and used plastic for Monkey and Beetle to overcome limitations in the process. “Kubo” significantly bids a fond farewell to Laika’s four-film cycle devoted to childhood as the studio turns its focus to adult characters. “The upcoming films are very different from what Laika’s done in the past. And if people think they have us figured out, it will force them to re-evaluate that,” said Knight, who still hopes one day to be on an annual release schedule. But, for the first time, Laika overlapped productions while expanding its studio space with a new building. Look for the next (as yet unannounced) movie to possibly open in the spring of 2018. “Kubo and the Two Strings” opens on Friday, August 19.